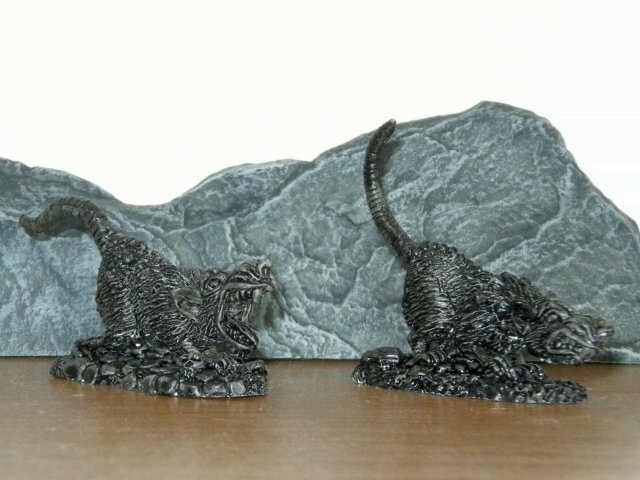 I needed some rodents of unusual size for an upcoming Dungeons & Dragon campaign, so I turned to the nightmarishly large Barrow Rats from Reaper Miniatures. This is another great sculpt from Jason Wiebe, but it has only two variations. Since I wanted four to six rats, I resorted to the simple expedient of bending their tails into different positions to provide some additional variety. Once the figures were cleaned and primed for painting, I began with an under coat of Black from Coat d’Arms. I have been doing this lately to help define shadows and—I hope—to provide a greater depth of color on finished models. Next, I started to apply the base colors. 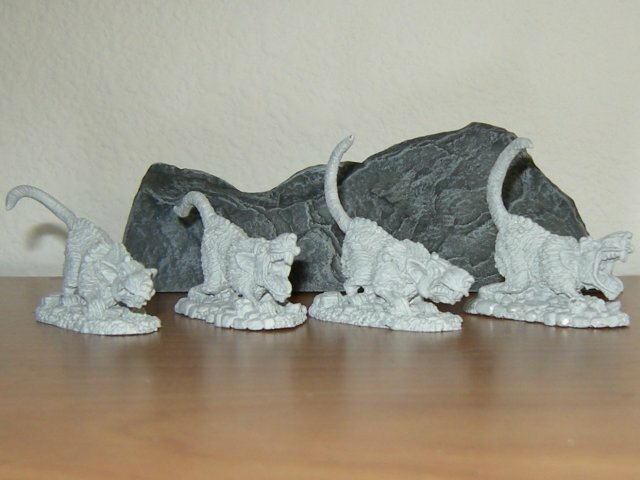 To provide yet more variety, I decided to paint my unusually large rats a few different colors. While they will still be predominantly gray, two will have brown fur, and one will be closer to white. I used Coat d’Arms Dark Grey as the base for the gray rats’ fur, Chestnut Brown for the brown, and Elven Grey for the white.